In this version, developed for a course in human anatomy and physiology, the protagonist of the case, Dr. Westwood, survives an accidental poisoning-not once, but twice. Students read about each incident, applying what they learn in each part of the case to the later sections, and then design a drug to treat the neurotoxin poisoning described in the story. The case comes in three different versions, or editions. 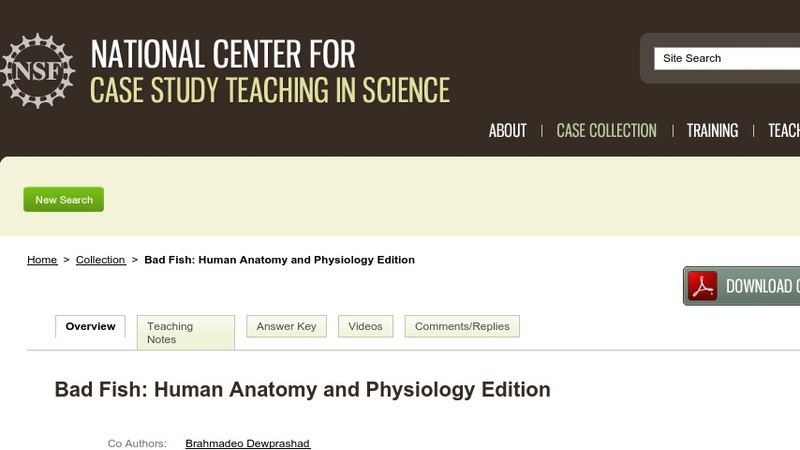 This is the Human Anatomy & Physiology Edition, which has a different set of questions than the General Biology Edition or the Cell & Molecular Biology Edition, also in our collection.